Harsh was born on February 4, 1977. 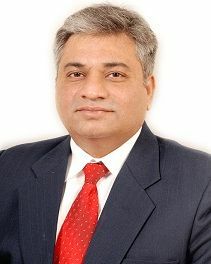 He has bachelor`s degree in Computer Science and Engineering, Dgyneshwar Vidhyapeeth, Pune, India. He has worked as a Network Specialist and was involved in many Wide Area Network projects for entities and Stock Exchanges in India. He has been studying Forex market since early 2006. He has developed trading skills and became an FX Technical Trainer. Now he is a Technical Trainer at premier B-Schools and serves at Ahmedabad Management Association. With Divine Blessings of Guruji he has trained around 750+ participants in Gujarat since March 2008. He is also a Currency Hedging Advisor at a few Export-Import Companies in Ahmedabad, Gujarat. He is the author of FX Technical Traders Handbook published by Ahmedabad Management Association. Interests: light music, meditation, serving less privileged.